• AirPlay 2 support! SonoControls now displays track info when streaming via Airplay as available on Sonos One, the second generation Play:5, Playbase and Beam. • a bug has been fixed where the volume level was only displayed in the widget after changing the volume. In this version the volume is alway displayed, also when it is not changed. • also a bug was fixed where in some situations empty track info was displayed. • the icons used for line input and for when searching for music now have a black background so it looks better. To those dissatisfied - you should read more closely. 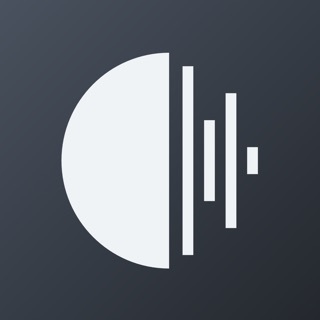 To those looking for an app on iOS that allows you to swipe quickly to your widget screen while locked (or otherwise) and skip songs, adjust volume, see song playing, and a few other small actions...this app is perfect. For me, it eliminates unlocking my iPhone via touchID and then opening he sonos app and then changing the song. For those who want that, this app works flawlessly as described. Ignore the rankings from people who don’t understand the use case. Thanks to the dev team for developing something that makes the sonos experience better, and for a reasonable price of $2.99. Good job! If you have Sonos this is a no brainer. It is easier to access within the widget menu and I like the fact you can adjust the size of the widgets. It is best for changing volume, pausing or skipping the song. You can't group players within the widget but that's no problem, I don't expect it to. When you click on the widget the app opens anyway! Just what I was looking for. Thank you for your work on the app. Have been using just over a week. I have a 10 speaker installation so far. Makes quick adjustments to audio much more convenient than drilling down to the Sonos app controls. It is Worth the $.